These are a few of my favorite reads this week. Visit High-Heeled Love and My So-Called Chaos to join in! Since my surgery, and a few other family crises, I have been depressed lately. I also had a car accident Monday last, and that has complicated my emotions further. Although it was intended for a family member or friend of a person suffering from depression, I believe the person experiencing depression could also benefit from reading it. I especially thought the information on page 2 was helpful. Actually, I read a number of articles on the site, and found most of them beneficial. Considering it's back-to-school time, I thought this was a terrific post! 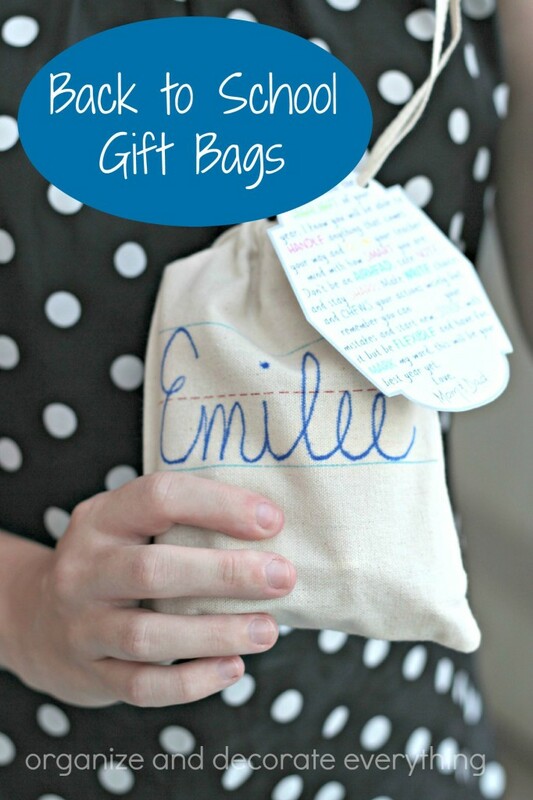 I wish my kids were still young enough that I could make these gift bags for them, but it does give me ideas for care packages to send to my college students. I love to scrapbook, and I'm always looking for inexpensive embellishments for my pages. What I learned from this post is that if I have a silicone mold, a glue gun, and mod melts glue sticks (which come in a variety of colors including metallics), I can make my own embellishments. Sounds so simple! Thanks for joining the Weekly Round-Up party and sharing your favorite reads. I'm sorry that life has been down on you lately; hope you come through the dark clouds soon.